See photos for exact condition. May have signs of wear. 10 OFFICIAL SONY PLAYSTATION 3. This case has the LOGO on the top of the box (see pictures). Rare - Hard to find. This is box only. No system or anything other than the box. See pictures for condition please. Some writing on top of box. 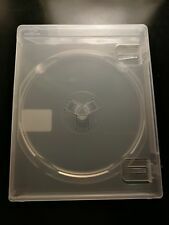 Lego marvel avengers PlayStation 3 replacement case and manual only No game inside. May have sticker residue. Case is in good condition. Returns: are accepted at a 20% restocking fee. Buyer pays for return shipping. We love to bundle. Of you want multiple cases we can offer a bundled price for 2 or more cases. These cases are 6-3/4" x 5-1/4" and ~9/16" (14mm) thick. The cases have a Blu-Ray logo embossed on the front. Perfect for replacing your cracked and worn Playstation 3 cases! PLAYSTATION 3 BOXES. We will not declare it as a gift, or at a lower value. Sony Playstation 3 PS3 250 GB CECH - 2001B BOX ONLY ! Selling the PS3 version of the Last of Us COVER ONLY This does not come with the disc. Please read this before purchase. Selling reasonable price with cheap postage. All my packaging is well done and strong therefore I do not take liability for Royal Mail Deliveries or accept returns. Buy with confidence and from a non smoker, no pets and super clean home. Cases have dust, wear and stickers on them. Sony Playstation 3 PS3 320 GB CECH-2501B BOX ONLY ! Includes a Naughty Dog sticker. May have minor wear, such as dings in the plastic, wear along the edge of the manual. Manual not included. 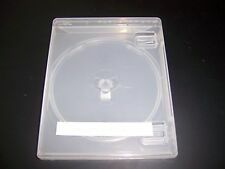 Deadrising 2 PlayStation 3 replacement case only No game inside. May have sticker residue. Case is in ok condition. See pictures for damage. Case looks to have been chewed up. Only bottom.corner is affected though. Returns: are accepted at a 20% restocking fee. Buyer pays for return shipping. We love to bundle. Of you want multiple cases we can offer a bundled price for 2 or more cases. Ni No Kuni: Wrath of the White Witch 1 - STEELBOOK only - Rare ! Ni no Kuni 1 Steelbook case/box only - rare limited edition. Overall in good condition. It is used, so there is minor marks scratches/ mainly on the front book pictured area.